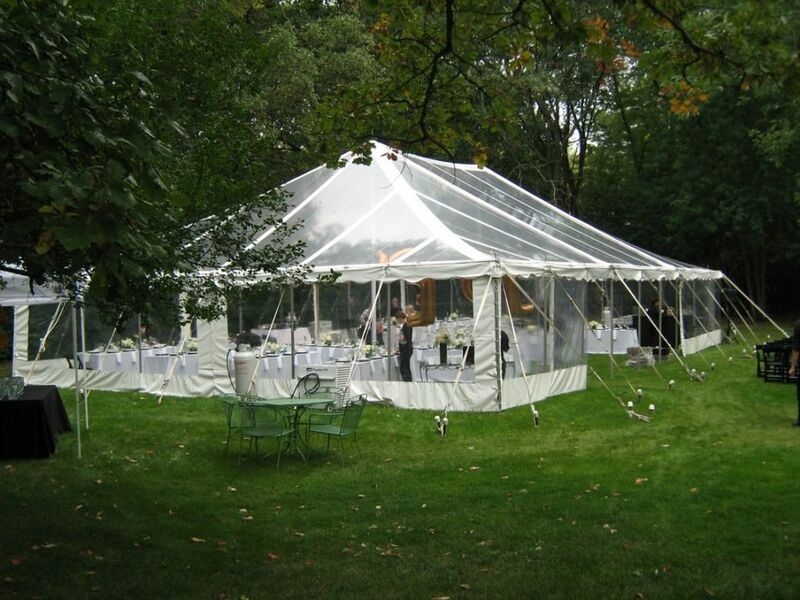 Renting a Clear Top Tent for your wedding or backyard party from Indestructo Party Rental is easy. Clear Top Tents are becoming a more popular tent option these days. They are unique and create an extraordinary environment for a late day or evening event. Let the splendor of a brilliant sunset or the sparkle of the night sky make your event memorable. Do you need a Clear Top Tent for your Wedding or Special Event? A clear top tent gives your guests protection from the elements along with a view of a beautiful sunset or a moonlit sky. 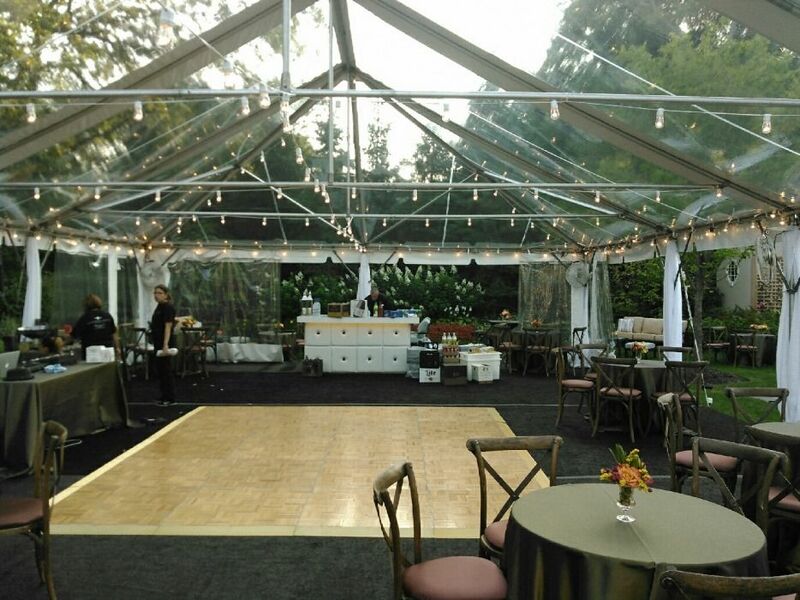 Add Clear Sidewalls to your Clear Top Tent and provide a stunning environment to experience the beauty of the outdoor surroundings, while being protected under a tent. 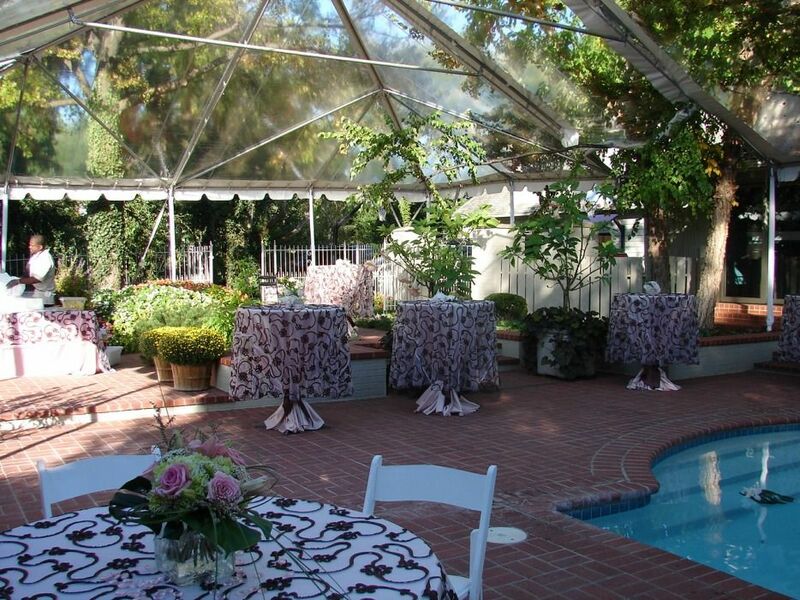 Besides our colorful tents, we rent tables, chairs, linens, dance floors and more. Everything you need to make your event a success.